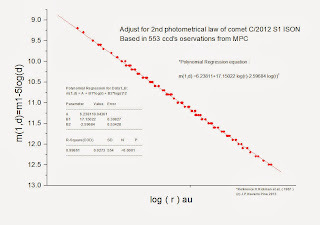 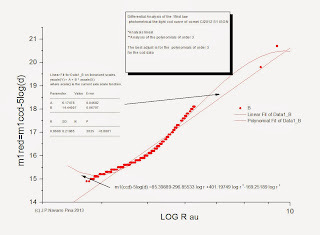 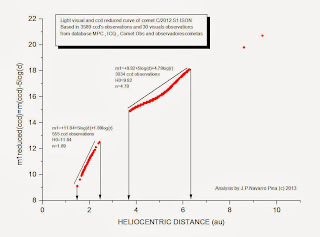 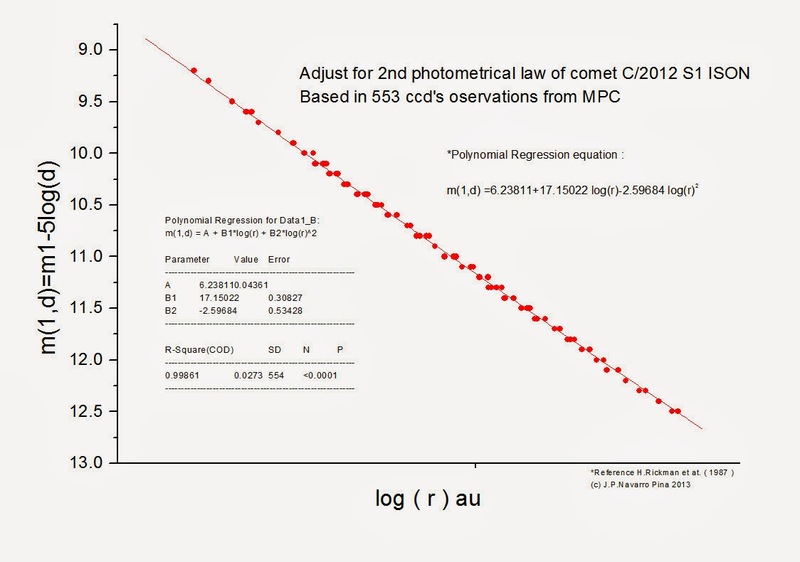 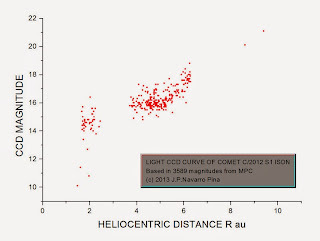 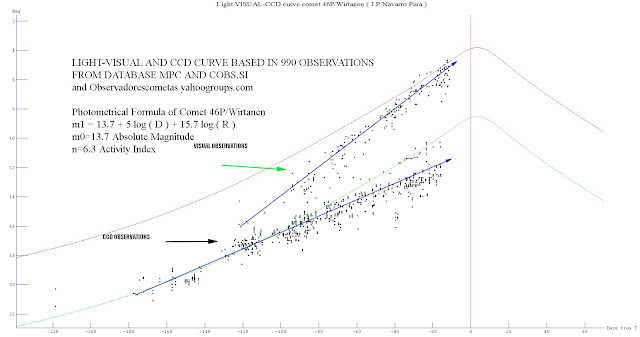 The author , J.P.Navarro , analyzes the 3589 ccd's observations from MPC database and obtained the new and the best light ccd curve for this comet , C/2012 S1 ISON , adjust the principal light ccd curve based in 3.589 observations ccd's and calculated for the differential analysis , two new photometricals laws , the best adjust is new mathematical method for the analysis , based in polynomial regression , the old method of calculation based in linear regression , donot fit properly , the new method of polynomial regression in order 2 or 3 correctly whether all points of the curve, in particular the kite has a curvature characteristic in its data get three new Photometric parameters, a, b1 and b2, the author has been linked to with absolute magnitude (m0) and b1 and b2 are new indicators of internal activity of the comet , the absence of more new settings for all curve data, the results indicate a deceleration typical brightness of new comets oort cloud, most likely due to a change in the main volatile component of the gas and dust sublimation the comet, this change occurred in 1.4 < r < 2.4 au . 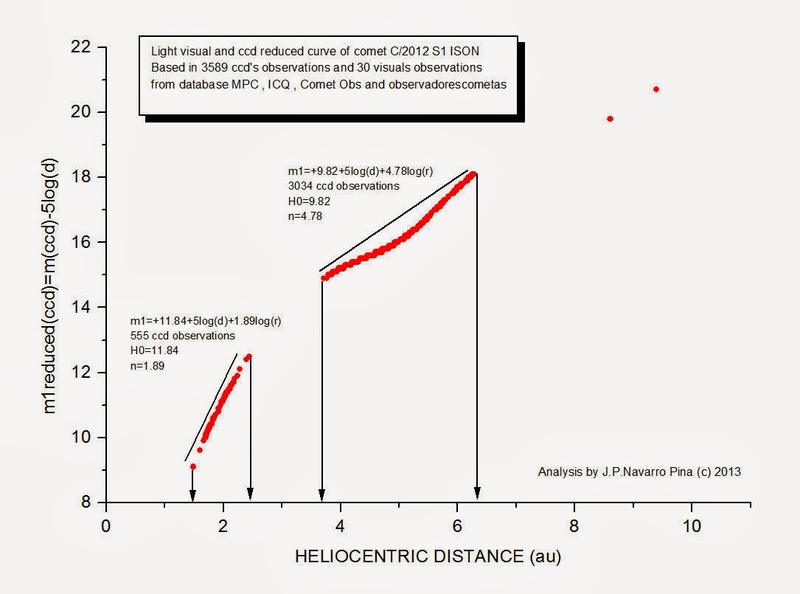 Reference : ''Estimates of masses , volumes , and densities of short-period comet nuclei'' , H.Rickman et at. 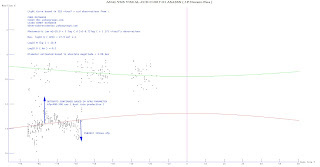 1987 .